Note - All timber comes unfinished. With Basic Balustrade - The Staircase will come with the handrail parts for the face side in Pine, Handrail, Baserail, 90mm square newel posts and 32mm Pine square balusters. 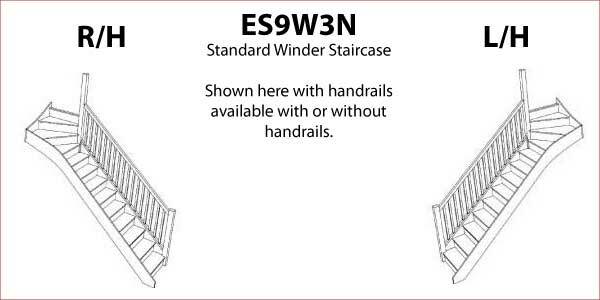 With Stop Chamfered Balustrade - The Staircase will come with the handrail parts for the face side in Pine, Handrail, Baserail, 90mm Stop Chamfered newel posts and 32mm Pine Stop Chamfered balusters. With Turned Balustrade - The Staircase will come with the handrail parts for the face side in Pine, Handrail, Baserail, 90mm Turned newel posts and 32mm Pine Turned Spindles. NEED TO AJUST FLOOR HEIGHT ?